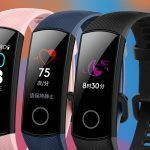 Xiaomi’s popular fitness tracker, Mi Band 3 is probably the biggest hit in this category. 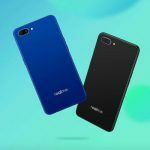 The band has remained widely popular ever since the launch and the company keep rolling out new updates to level up the popularity. 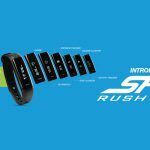 The fitness tracker is already loaded with a number of great features along with a premium design. And now, Xiaomi has rolled out another update adding some exciting new features to the device. Xiaomi earlier announced one of the features to be arriving with the upcoming update. That feature is a one-button mute function for Android phones and it’s here now. The newly-released feature allows the users to put their phone in a silent mode right from the smartwatch. This one could be a very handy feature. When in a meeting or classroom and you forgot to turn off your smartphone, you don’t have to worry about reaching out to your handset in the middle of the grouping to save yourself from the unwanted attention. You can simply put your phone in the silent mode right from your smartwatch. In order to do it, you just have to press and hold the capacitive button for a few seconds. Furthermore, the Xiaomi Mi Band 3 offers a second new feature with the latest update and it is called the “World Cup schedule reminder”. We have already come too far in the sports tournament but there is still an exciting timeline from the World cup quarterfinals right through to the finals so this feature is important, maybe now more than ever. According to the new functionality, the World Cup schedule can be set on the Mi-Fit app. And, your phone will vibrate when it’s time. In order to take advantage of these two features, you will need to update the Mi-Fit app with the latest firmware. Once updates, the features will be available on your app and smartwatch. The Xiaomi Mi Band 3 is expected to be available for the Indian market including India next week. The expected price of the device is Rs. 1,700. 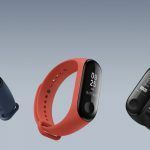 The Xiaomi Mi band 3 is the successor to the Mi band 2 and is a much better fitness tracker that is available in multiple color variants. The device can monitor your sleep and also act as a dedicated heart-rate monitor. The Mi Band 3 is not very expensive and comes with a touchscreen functionality. The Mi Band 3 looks similar to the Mi Band 2 when it comes to designing. But, the successor comes packed with improved features. The device flaunts a 0.78-inch OLED display which can display Facebook notifications, simple text messages, Weather info, WhatsApp, caller ID and more. The Xiaomi Mi Band 3 is far more accurate in tracking your daily fitness routine. The wearable is also 5ATM waterproof so that you can take it for swimming under 50 meters. Additionally, there is gesture support like swipe up/down to switch functions, and left/right to access different items. The Mi Band 3 shows real-time data for cycling, running, walking, and other activities. Furthermore, there is a button on the front where you can reject the call with a long press of the button. 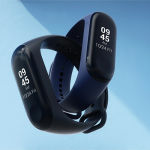 The Mi Band 3 packs several connectivity options including Bluetooth 4.2 and NFC as part of the connectivity suite. It has to be paired via Bluetooth once, and it will keep tracking even if it is not connected to the mobile. However, data gets synced from the band to the mobile when Bluetooth has been turned on again. The fitness tracker is compatible with any device as long as you have the Mi-Fit app. The app can be downloaded from Google Play Store. The battery back up on the fitness tracker really impresses. It can easily last for a month upon a single charge. The Mi Band 3 is a cost-effective wearable packed with decent specifications and overall compelling features.